Frustrated by the lack of high-quality educational entertainment programmes? If you have performers, do your kids see the same show - year in, year out? 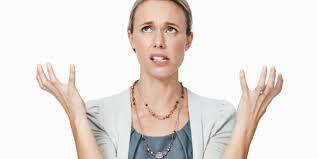 Do the parents grumble about paying for the same old stuff? Hi, this is Franc Karpo of Amazing Kids Magic. I am here to help provide your children with fun educational programmes. Maybe you are one of the lucky schools and your existing entertainer, (if you have one) suits you just fine. If not, and you have a need for something different, this may just what you are looking for. 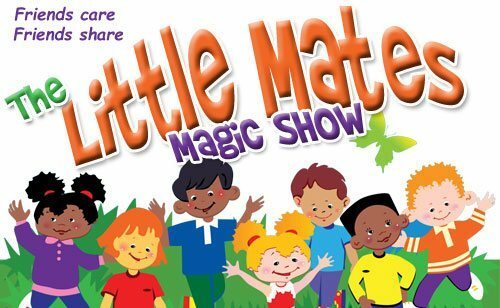 My nursery magic show is loaded with 'magical silliness' that children at this age absolutely love. They will have an amazing time. "Once again, thank you very much for entertaining both children and adults at our recent fundraiser. We hope you enjoyed the day as much as we did and that we have the opportunity of seeing you again soon." Your kids will have fun and laugh like crazy. You will hear the laughter and see the smiles of your children as they are entertained my amazing magic and hilarious comedy. Your kids will be involved. (Every one of them). I do use several 'magic helpers' in each show as we do the magic together. (Makes for a wonderful photo op that parents will appreciate.) Not only that, for the big finish, I get all the kids involved, so it's an audience participation bonanza! Your kids will learn valuable educational and motivational life lessons. 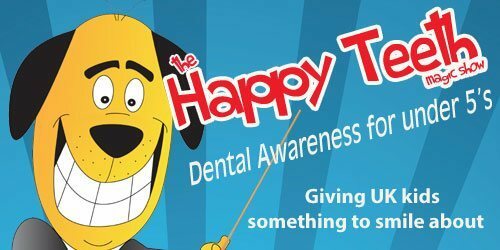 Not only are the programmes super fun, your children will learn important lessons about dental awareness or cooperation and sharing and not bullying. 3 Exciting Programmes To Choose From! I have a preschool educational entertainment package that provides you with a choice of 3 shows, each focusing on a theme important to young minds and bodies, as well as their parents and their expectations of you. Your kids will be learning valuable lessons, laughing so hard and having so much fun they won’t want me to leave. Of course, your children’s happiness is one of the most important things in life. ​Hosting the show is EASY. I only need a few good paces away from a wall to set up. The children sit on the floor so any average sized room will work just fine. For your peace of mind I have full liability insurance and registered with Disclosure Scotland. 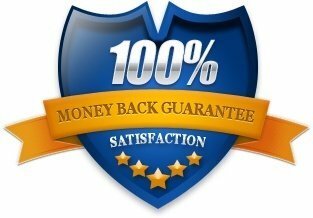 My guarantee is simple and straightforward. If you’re not completely satisfied that my programme entertained your kids, you get all of your money back. I can’t be fairer than that, can I? There’s no risk for your nursery school whatsoever. In fact, out of the thousands of programmes I have done, no one has ever requested their money back! In fact, many schools have me back again and again. The point is… you will be thrilled with my kids magic – guaranteed. 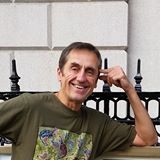 “There were lots of squeals of delight and excitement"
"Dear Franc, many thanks for coming to Hardgate school to entertain the school and nursery children during our Wacky week. The feedback I have received has been really positive. The children thoroughly enjoyed themselves and there were lots of squeals of delight and excitement!!! Your amazing magic show in the middle of our ‘Wacky week’ has been ideal. We are very grateful for the special offer... many thanks!" and which of my kids magic shows would be best for your school. I have a large centre. Would be it possible to split the children up for two shows? Yes... you can absolutely split up your children into two or more shows. 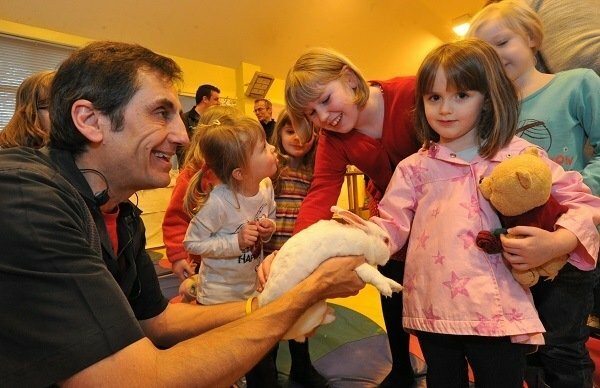 The show is designed to accommodate nursery/preschool needs and requirements. Do you offer discounts for booking more than one show? Multiple shows do qualify for discounted rates. Not only back to back shows on the same day, but also multiple bookings spaced out throughout the year, do indeed qualify for a discounted rate. We have family open house events. Would your programmes be appropriate for all ages? Any of the three programmes will work out fine for most nurseries having an open house/family event. P.S. : Depending on peak vs. non-peak season, available dates can disappear fast. So now is the time to contact me to for info about how we can bring in an outstanding programme for your school!